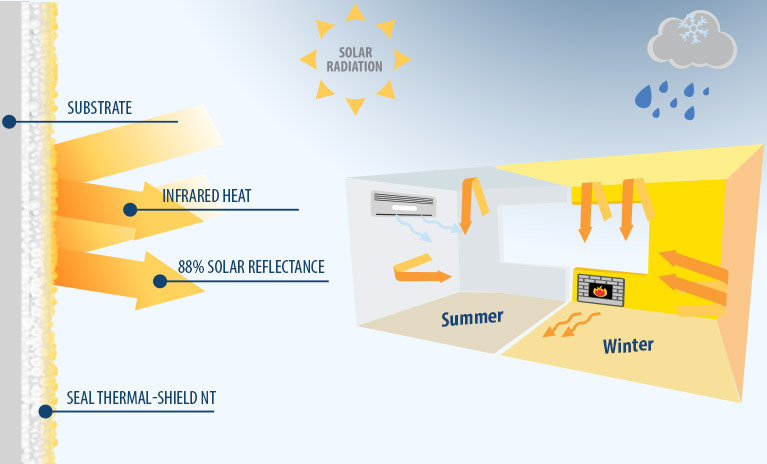 Seal Thermal-Shield NT interior works as an insulation barrier within the building thus preventing in winter heat loss from inner to outer through mostly conduction while entrapping the cool temperature of the air conditioned rooms in summer. 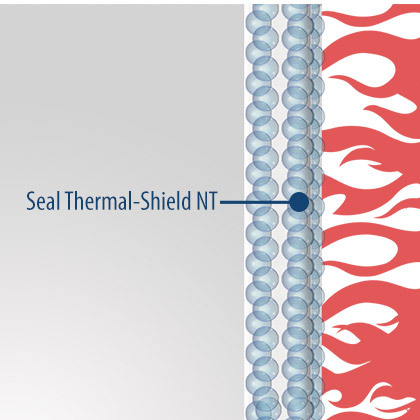 Seal Thermal-Shield NT interior is designed with flexibility to cover hairline cracks at sufficient film thickness. 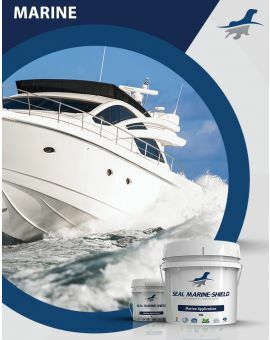 It has a luxurious paint film with excellent flow while it is highly washable easy to clean. 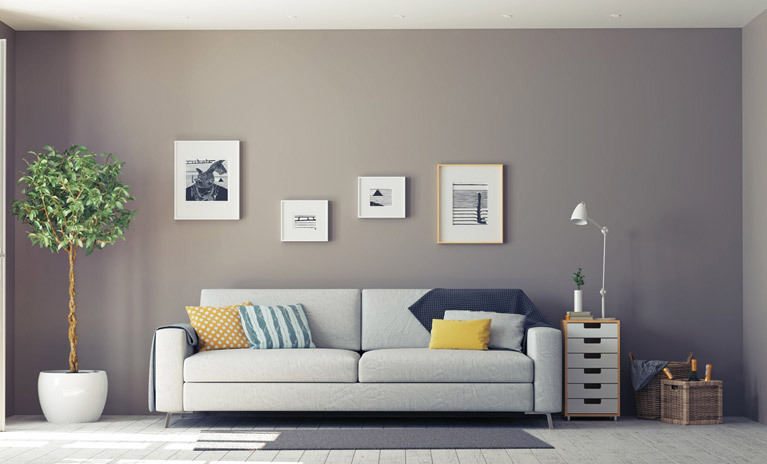 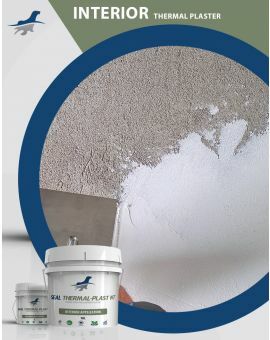 Seal Thermal-Shield NT interior use is a High Tech / High Performance pure acrylic liquid applied thermal insulation and energy saving paint/coating that is applied on most interior wall surfaces. 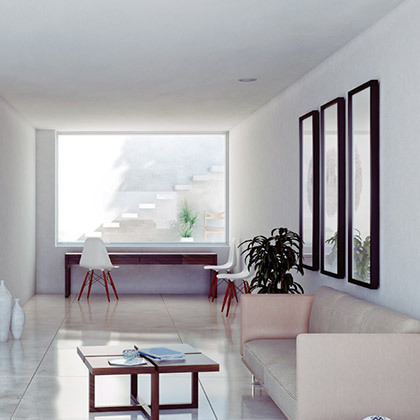 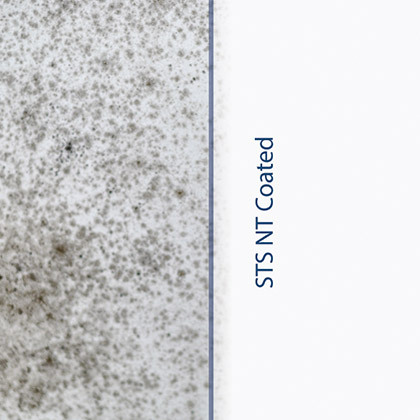 Owing to having intensive amount of ceramic micro-spheres of vacuum beads, Seal Thermal-Shield NT interior use works as an insulation barrier within the building thus preventing in winter heat loss from inner to outer through mostly conduction while entrapping the cool temperature of the air conditioned rooms in summer. 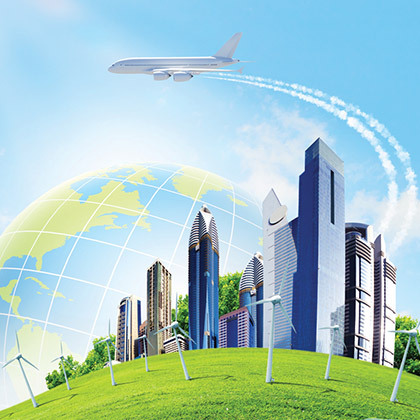 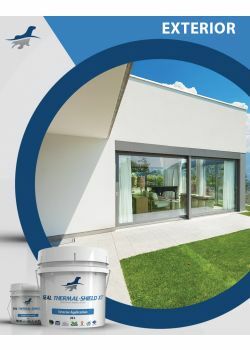 Furthermore, having almost NIL Volatile organic compound and its resistant to fungal growth, Seal Thermal -Shield NT is ideal as Inner Living Environmentally Friendly with no harmful effects to humans. 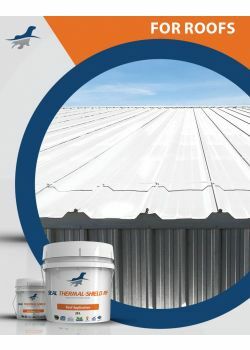 Seal Thermal-Shield NT Keep’s buildings cooler in the summer and warmer in winter by reducing heat transfer through walls. 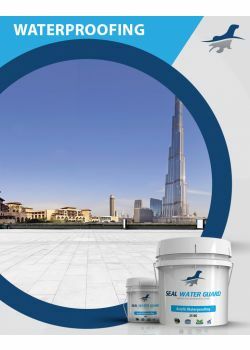 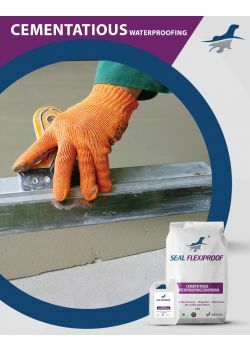 Seal Thermal-Shield NT Product creates an excellent seamless waterproofing layer that would seal and waterproof any area. 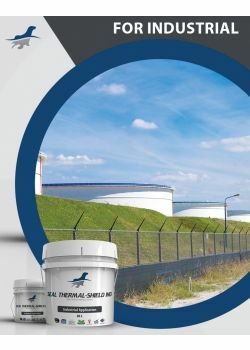 Seal Thermal-Shield NT anti-microbial properties is non-leaching and has been proven to be an effective deterrent to a broad spectrum of microbial growth.